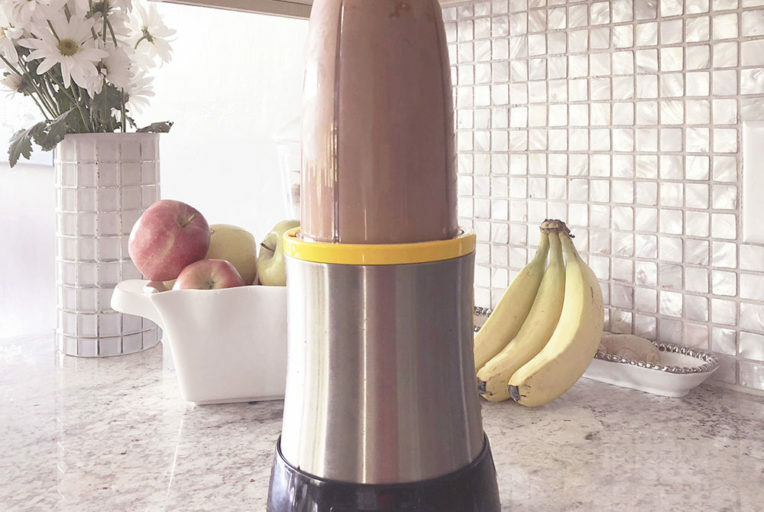 Today I want to share one of my favorite smoothie recipes: a Peanut-Butter, Chocolate and Banana concoction of healthy goodness! 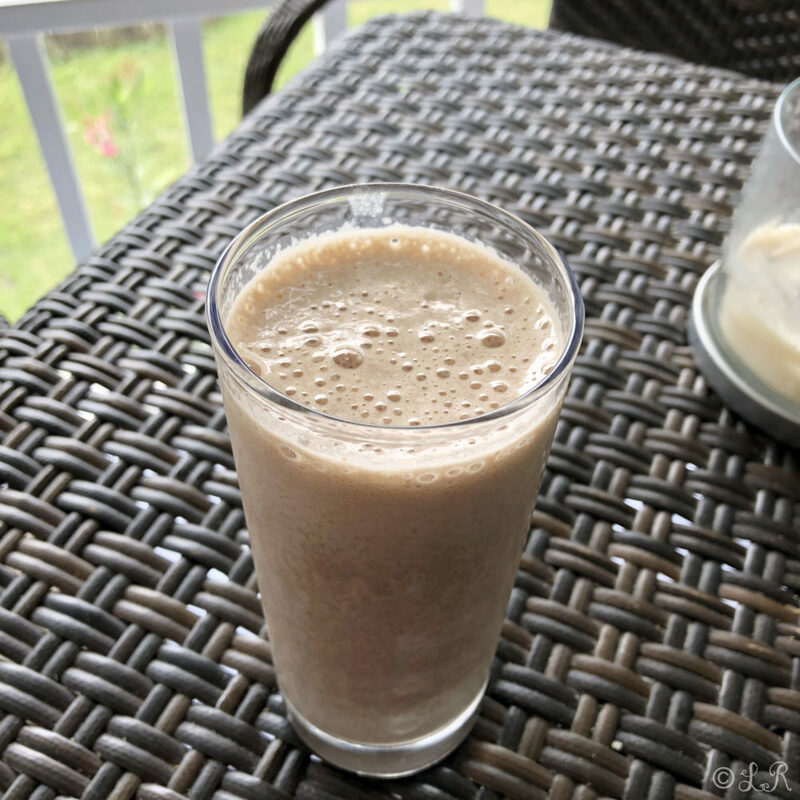 This refreshing recipe has very little sugar or unhealthy fillers, yet is full of protein, fiber, vitamins, and deliciousness! You can feel great while enjoying a delectable treat. And, it only contains four ingredients. How easy is that?! This post contains affiliate links which allow our site to earn a small commission from resulting sales. All opinions are honest and my own. This program does not cost you any additional fees. This recipe makes approximately 12-14 ounces, or two slightly light servings. First, grab a handful of ice and put it in your blender. When preparing a smoothie, you always want the hardest ingredients on the bottom. This will ensure proper blending! Next, break your banana into a few chunks and add it to the ice. 2 TBSP Regular, Creamy Peanut Butter: 190 calories, 16 grams of fat, 7 grams of protein, 3 grams of sugar. 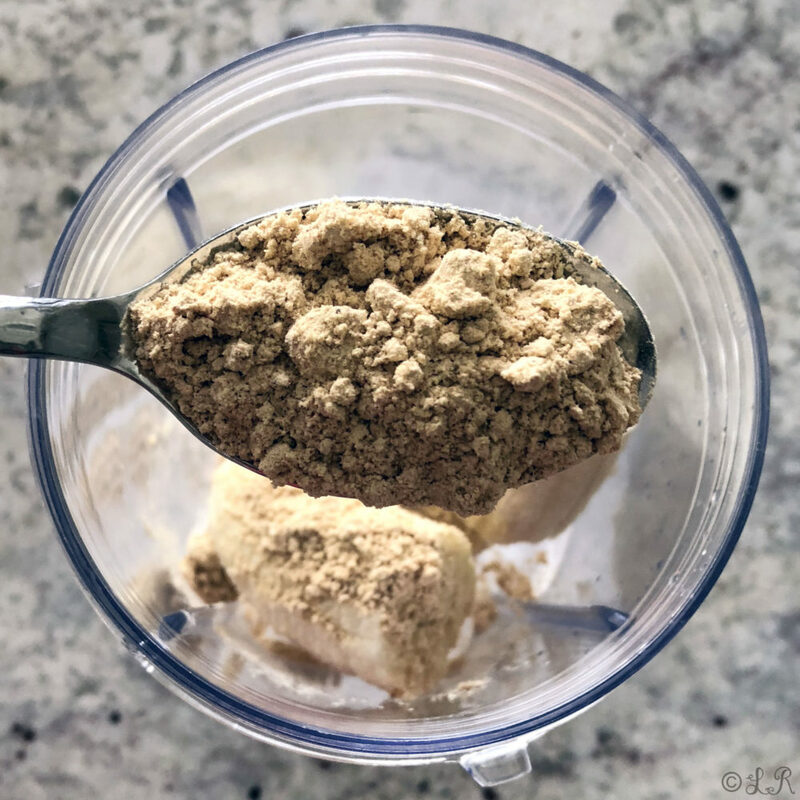 2 TBSP Powdered Peanut Butter: 45 calories, 1.5 grams of fat, 5 grams of protein, 1 gram of sugar. Next – and you guessed it – pour the protein shake over the top of everything. You can use whatever protein shake you prefer, but if you need a recommendation, I LOVE the Premier Protein brand. 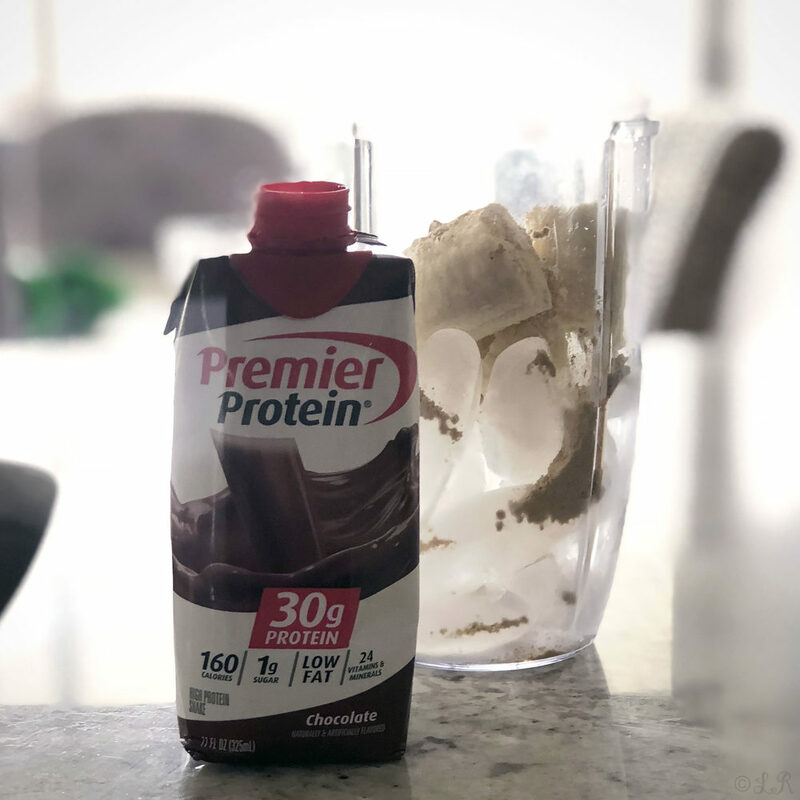 I have found that, compared to many other shakes on the market, Premier Protein has the best content levels of protein to sugar. I just hate when so-called “health” drinks contain more sugars and fillers than the actual “good stuff”. And, they taste pretty good, too! Finally, once all of the ingredients are in, you are good to go: blend it up, baby! 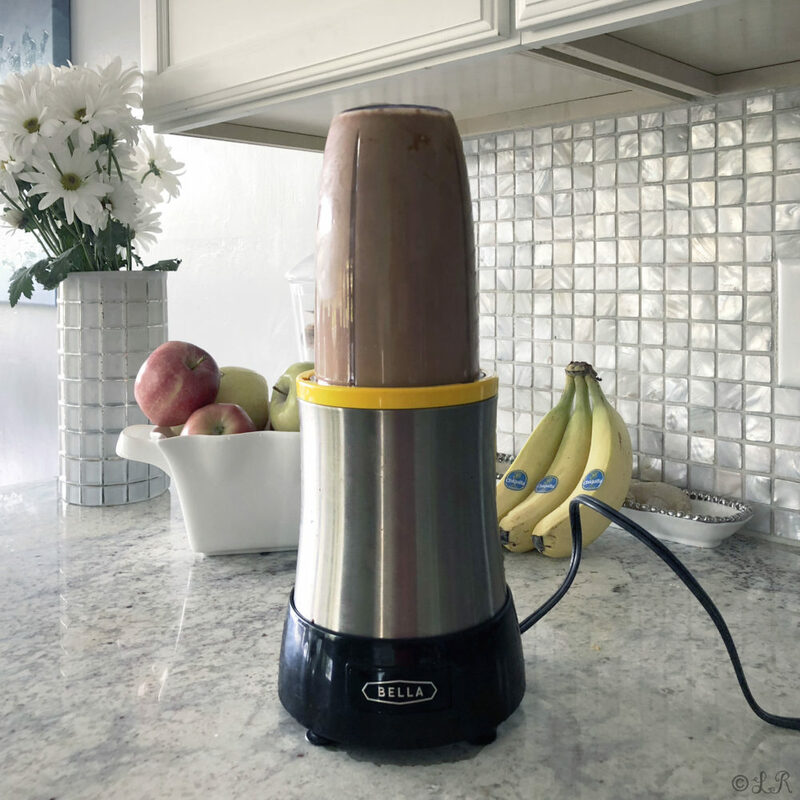 So this is a fantastic meal-replacement smoothie for an on-the-go breakfast or lunch. Moreover, it also works great as an after-dinner snack or a post-workout pick-me-up! This smoothie is VERY refreshing. Furthermore, who doesn’t like a peanut butter, chocolate, and banana combination!? As I mentioned above, this recipe creates a pretty large shake (around 14 ounces, actually) depending upon how much ice you use. It easily makes two servings; I usually give half to my hubby! Thanks for reading, and happy smoothie-ing! If you are looking for other healthy snack recipes, check out one of my favorites here! 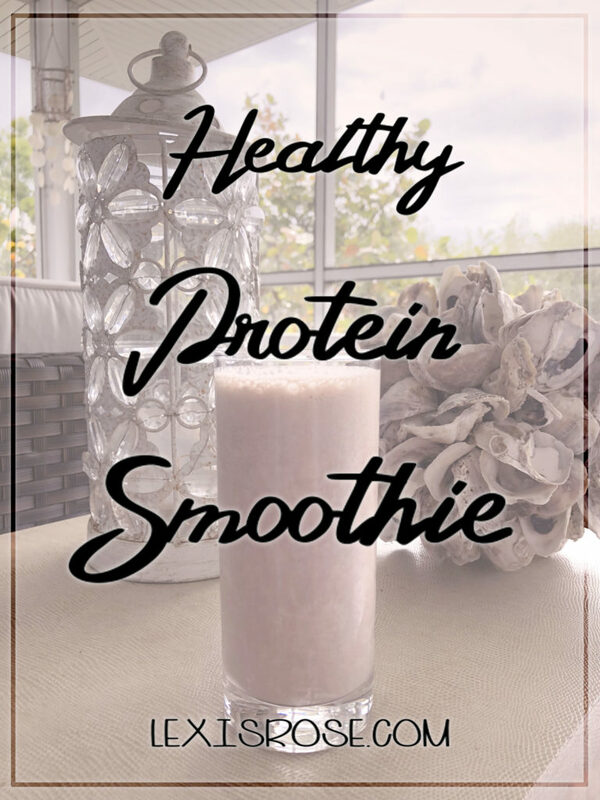 A quick and easy meal-replacement protein smoothie that tastes great, too! 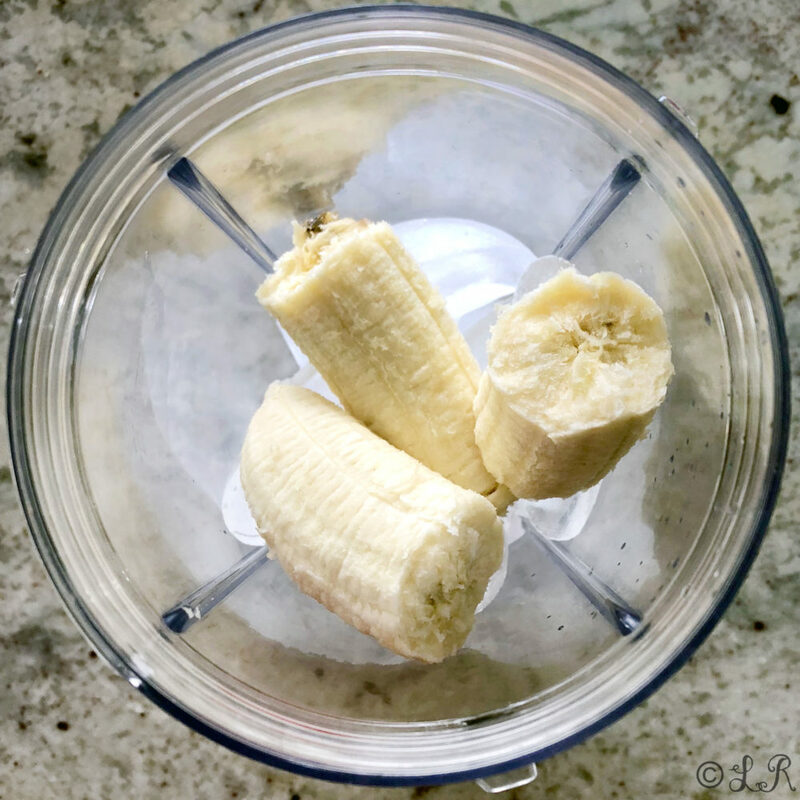 Place a handful of ice into your blender. Next, break your banana into a few chunks, and put it in the blender. Then, scoop out the powdered peanut butter and add it to the ice and banana. Finally, pour the protein drink over all of the ingredients.